After an Indian chief weather vane hit $5.8 million at Sotheby’s last year, many folk-art fans didn’t know which way to turn. Blown away by the potent price, they began searching for a new old thing. Windmill weights are what they found. Mill weights were used to counterbalance the weight of a windmill wheel from the 1880s through the 1920s. 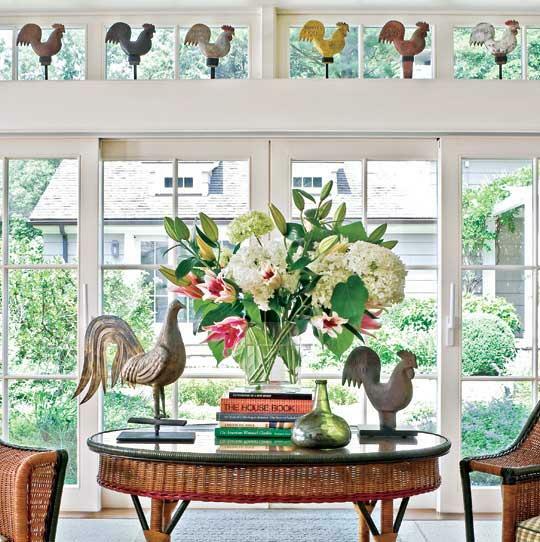 When farmers and ranchers converted to electricity, they removed the weights from their sky-high pedestal and propped them in the garden, where they were often jazzed up with paint. 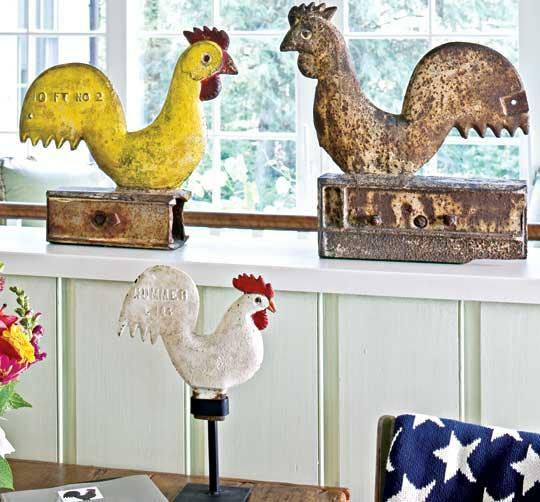 Today, mill weights are prized for their folk-artsy qualities—bold shapes (from farm animals to heavenly bodies), strong colors, and weathered surfaces. "They have a great sculptural quality," enthuses Leslie Keno as he goes eye to eye with an 18-inch-high brown bull that weighs in at about 40 pounds (the larger the wheel, the heavier the weight). Brother Leigh chimes in: "The strong, clean lines look good in any space, whether a prewar apartment or a country house." Leigh runs his fingers over a worn, beat-up rooster as if petting a dog. "They were used outdoors so you want to see a crusty surface and some old paint." Rugged and rusty, windmill weights first generated interest in the 1980s when folk-art enthusiasts began stocking up on the heavy weights. Sure, they were utilitarian objects, but tastemakers taught us to see art in functional design (think weather vanes and door handles). "Now mill weights are going back to the Midwest, where they originated," says Pennsylvania dealer Charles Wilson. Working farmers have taken an interest in their heritage, he notes. "It’s farm memorabilia. 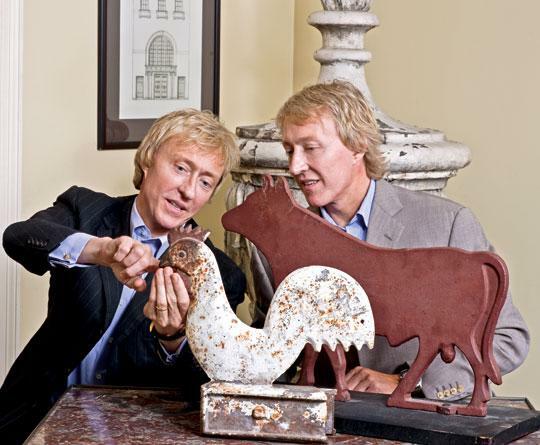 They don’t buy them because they are folk art." Like weather vanes, mill weights were made in factories. "Molten iron was poured into sand molds," Wilson explains, but they were shaped to stand out against the sky as well as to advertise the company brand. 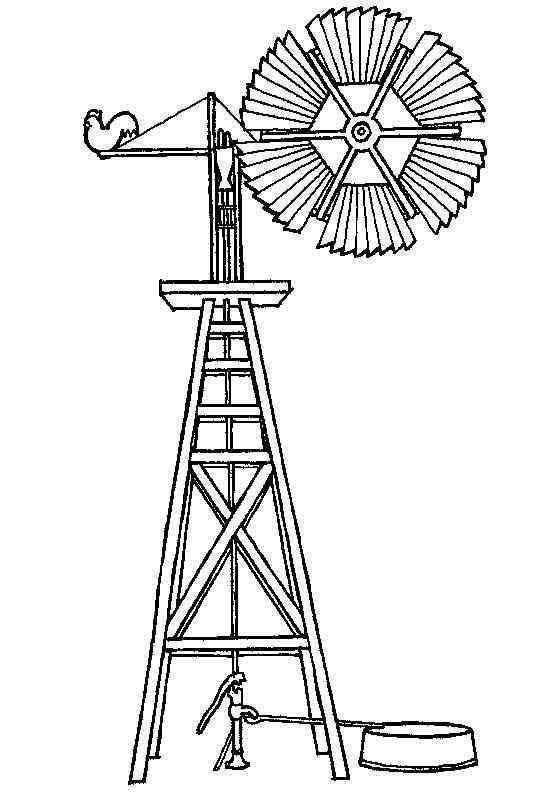 For instance, roosters were a winning logo for the Elgin Wind Power and Pump Company in Elgin, Illinois. 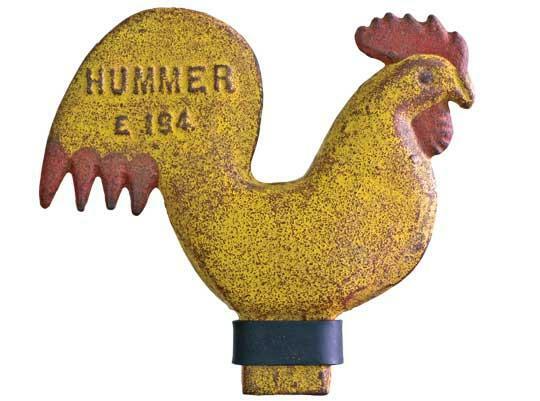 This cast-iron weight has the name of the pumping mill, "HUMMER," and casting mark, "E 184," in raised type. Its 1920 list price? $1. Such folksy fowl go for about $800 to $1,200 today. Find them for less at farm auctions and estate sales. 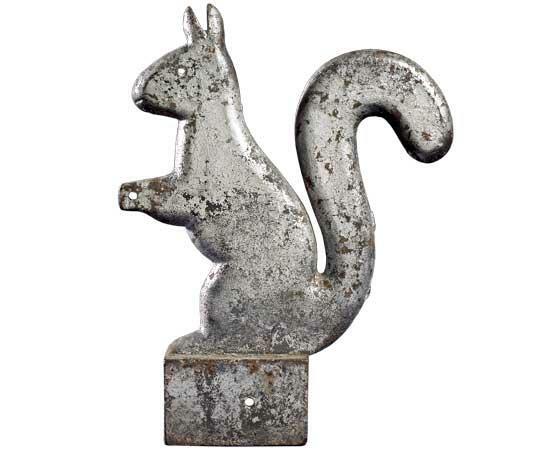 Elgin Wind Power and Pump Company also made a bushy-tailed squirrel, but farmers proved immune to the rodent’s charms, and it was discontinued. Naturally, scarcity has turned the squirrel into a weighty weight. This one sold for $2,500 at Northeast Auctions in 2005. "A mustard-colored squirrel went for $8,500," reports dealer Wilson. 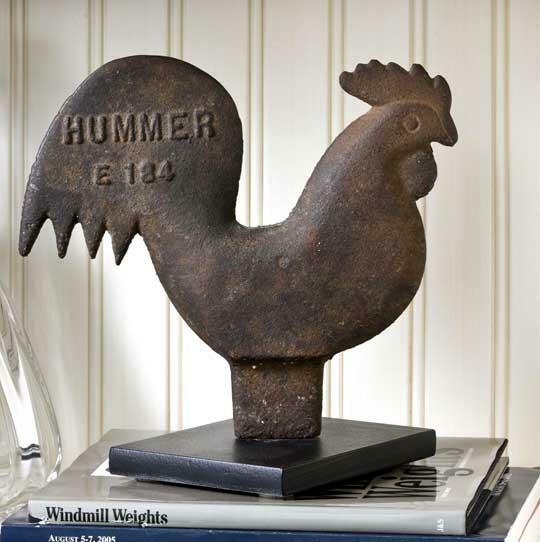 Other rarities include a horse in mid-trot (by Benjamin Danforth Machine Shop of Batavia, Illinois) and a figural, feathered rooster with screw legs. "The average collector doesn’t focus on rarities," says Wilson. "People choose them for their shape and surface." Most mill weights are still fairly affordable and pop up at farm auctions, estate sales, and on eBay. Rusty reproductions sometimes pass as originals, so buyer beware. There were different types of weights, but it’s the vanes’ counterbalance, or tail weight, that collectors prize as sculpture. Most of them were used on farms west of the Mississippi River and across the Great Plains.